Aggressive pet cats can be a serious cause of concern for cat parents. 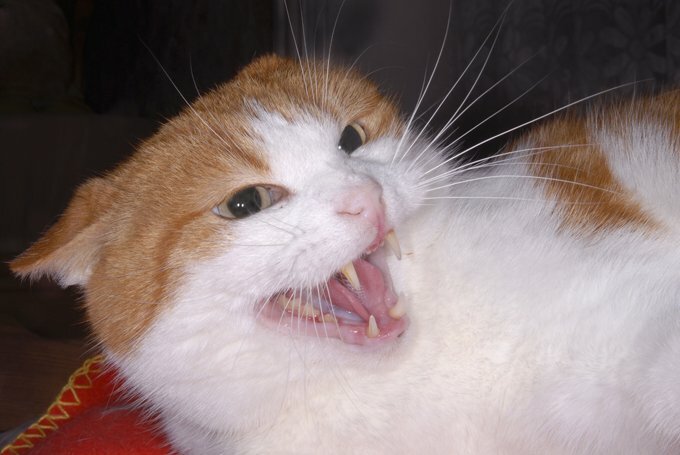 Vets define aggression as threatening behavior towards other cats or humans. It is a very common problem. Cats may be small in size but they possess razor-sharp claws and a set of powerful teeth. They are capable of inflicting painful bites and severe lacerations. This can lead to injuries to the attacked entity and your pet cat, not to mention the possibility of a hefty vet bill. 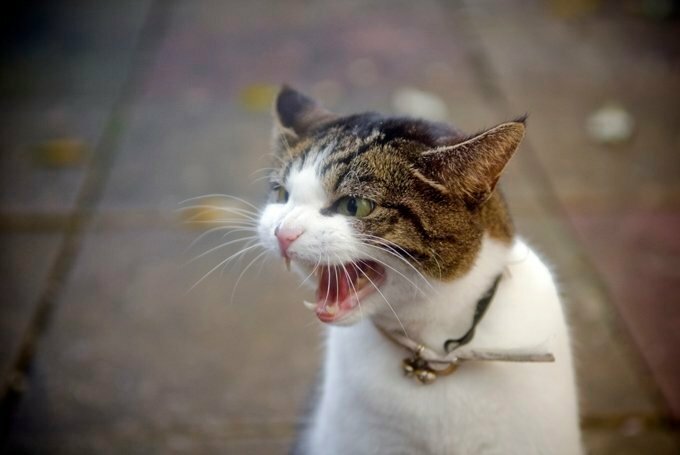 Treatment for aggressive behavior depends upon accurate diagnosis of the cause; here are the common causes that can trigger an aggressive attitude in your feline friend. This is probably the most frequent and most visible form of aggression. Unneutered males fight for female cats and over territory. Just the sight of another male in the vicinity will raise your pet tom’s hackles. This will be followed by loud hissing and howling. After this, if one of them does not back down, fur may fly. Aggression between cats in the family is also an issue. It can be between two males or two females or between a male and a female. The cats may not actually fight but the aggressor cat will try to establish dominance through posturing. A larger cat may try to dominate a smaller cat or one that is not that physically active. Cats that have had unpleasant experiences with other cats early on in life will be maladjusted and find it difficult to share space with others of their species. Intact males are more prone to aggression, neutering lessens their aggressive tendencies. Inside the house, if you are faced with such a situation then segregate the fighting cats as soon as possible. Don’t let the cat-fight continue. Ensure that the weaker cat has some hiding spots and perches where it can retire in peace. Separate the food and water bowls. Sometimes rewarding good behavior can work. Offer the cats treats if you see that they are socializing, they may learn to associate treats with good behavior. A cornered cat is liable to react aggressively. A threat perception with no escape route can bring out an aggressive response. A fearful cat will display body postures that include defensive signals such as crouching, leaning away, and flattening the ears as well as signs of aggression such as hissing and scratching. Give the cat an escape route and leave him alone, this will help soothe its frazzled nerves. Cats of both genders are territorial. They may choose to keep other cats, dogs, and even humans out of the area they consider their territory. Cats patrol their territory and demarcate it by urine spraying. Territorial fights are more likely to break out between cats that have only been recently made to share space; upon reaching the age of sexual activity; attacking strays if it perceives its territory to extend beyond the house gates; and changes to its immediate environment. In this case there are chances of cats, particularly those that are younger than two years, unintentionally hurting their owners by being aggressive in play. Aggressive behavior while playing includes stalking, chasing, ambushing, swatting, etc. There is also a chance of damage to household items. Cat experts believe that this behavior enables developing cats to exercise better control on the sheathing and unsheathing of their claws and also to control the intensity of their bites. This is therefore an essential aspect of their development. Cats need companionship, solitary animals; kittens orphaned or weaned at a very young age will normally be overly aggressive at play. This form of aggression can manifest when a cat parent least expects it. It can catch you unawares. 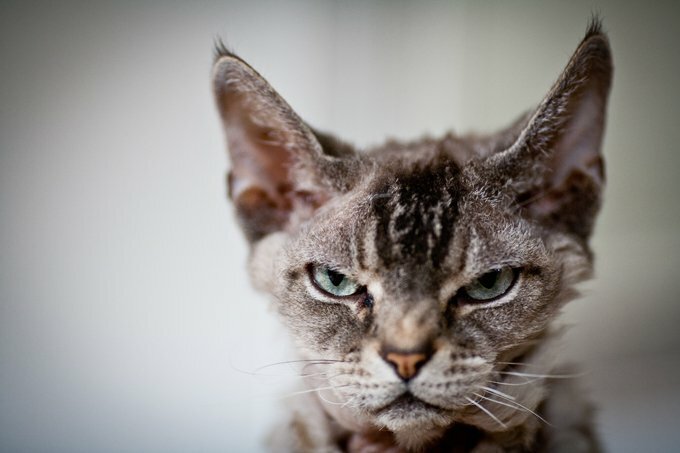 Essentially, this happens when the cat is unable to vent its anger at the animal or person that has agitated it. It then vents its ire on the person or object it can reach at. Such aggression can often be construed as unprovoked by cat owners that may not at all be aware of the original trigger or episode that irritated the animal. However; the cat will not go out of its way to find someone to vent its anger at. If you happen to approach it while it is still agitated, it may attack. The cat’s reaction and aggression is not premeditated. It is instinctive. If you can see that the animal appears excited and is in an aggressive posture, it is best to leave it alone. People that venture too close to break up cat fights risk getting hurt in the process. Even cats that normally tolerate petting might find too much cuddling and hugging a little suffocating. Actions such as scratching and stroking if carried out repeatedly can cause irritation and even pain to the animal. Females are more amenable to petting than males. Males are usually less responsive to physical handling. Keep your eyes open for signs of discomfort from the animal; these include an effort to wriggle out of your grasp and flipping its tail. Let the animal go if it appears restless. If the animal has taken to socializing with humans from an early age, it will be more tolerant to touch and handling. Gentle handling of kittens makes them lose their inhibitions toward being caressed and groomed by human hands. This type of aggression is easy to empathize with. Even humans lash out in pain. Cats that are in pain may strike if the part of the anatomy that is hurt is touched–for example, chipped claws or a wound earned in a fight. Toothache and arthritis can also lead to frustration and an aggressive reaction. Cats can also become aggressive due to reasons such as abnormal thyroid functioning, improper working of the adrenal gland, age-related inadequacies in sight and movement, etc. Take your cat to the vet if it displays signs of aggression, the vet is best placed to take a call on the most probable reason for the animals’ aggressive behavior and charting a plan to improve its behavior. This may include changes in diet and medication as well. With time you will learn from observation and experience about the times when cats are best left alone. Given below are offensive and defensive postures from cat body language. Offensive body postures include a stiff upright stance with the legs straight; stiff rear legs and the raised back sloping towards the front; staring; fur raised; and growling. Defensive postures include a crouched posture; leaning away from a person tail tucked in; ears flattened sideways; and retraction of the whiskers.